Experience a welcoming, contemporary environment with seamless travel amenities at the Hyatt Regency St. Louis at The Arch. 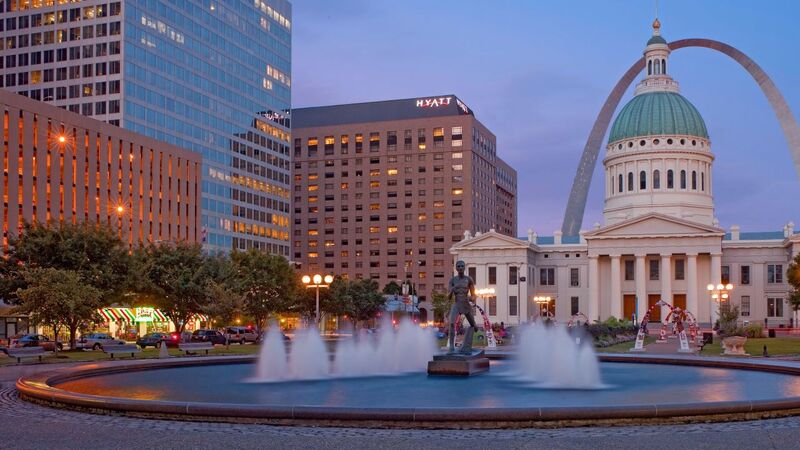 The closest hotel to the iconic Gateway Arch, this downtown property is a modern retreat for all your St. Louis adventures and business pursuits. Stay right next to the newly transformed Arch grounds and scenic riverfront. Take a tour of the Anheuser-Busch Brewery or catch a Cardinals game at Busch Stadium. When you are here, you can connect, dine, celebrate or do nothing at all. For activities to enjoy at the hotel, we offer a 24-hour StayFit™ Fitness Center, YogaAway™ program, and nearby walking and jogging paths. Discover St. Louis with us.